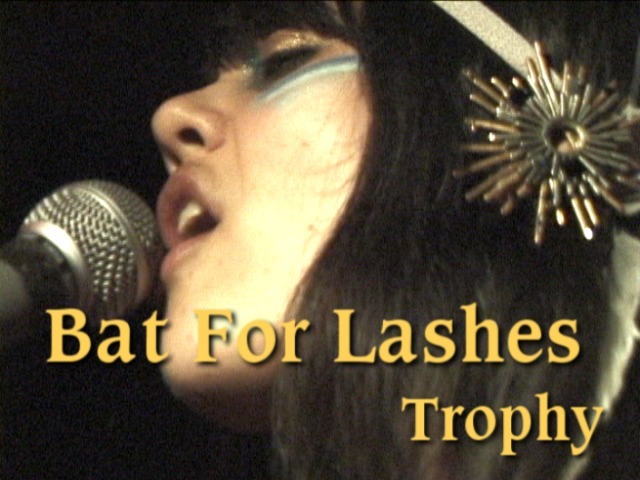 Bat For Lashes' star is rising fast over in the UK. A week prior to this show their album 'Fur and Gold' was included in the short list for the prestigious Mercury Prize. They are only just now turning their sights on the U.S. and, apart from a quickie one night stand at Joe's Pub in May, this was their first american show, the opener for a brief tour. They seemed very relaxed in the friendly environs of Maxwell's, and gratified to discover they already had staunch fans. While Natasha Khan is very much the personality of the group, the other three girls complement her perfectly. They all switch instruments seamlessly and exude the same sense of rococo fashion, but the main feature is Natasha's voice, clear as a bell and pitch perfect. After kicking off with a cover of Nico's 'Le Petit Chevalier' they played every song but one from the album. Many were gently ruminative, but I've picked two of the more lively outings. 'Trophy', a meaningful song about renewal, was the band's first single and gave the album it's title. 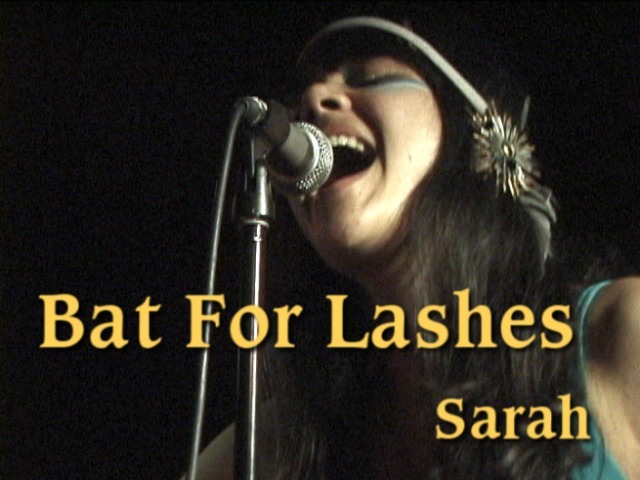 'Sarah', minimally electro on record, is given what amounts to shanty treatment live. Clicking on the images will take you to the clips on YouTube. The h.264's are iPod ready. Natasha on WNYC Soundcheck the next day. Natasha on PRI Fair Game the next day. (Starts a 3rd of the way in).